The outstanding design and quality construction of Whiting Portable Electric Jacks provide years of dependable service with a minimum of maintenance. 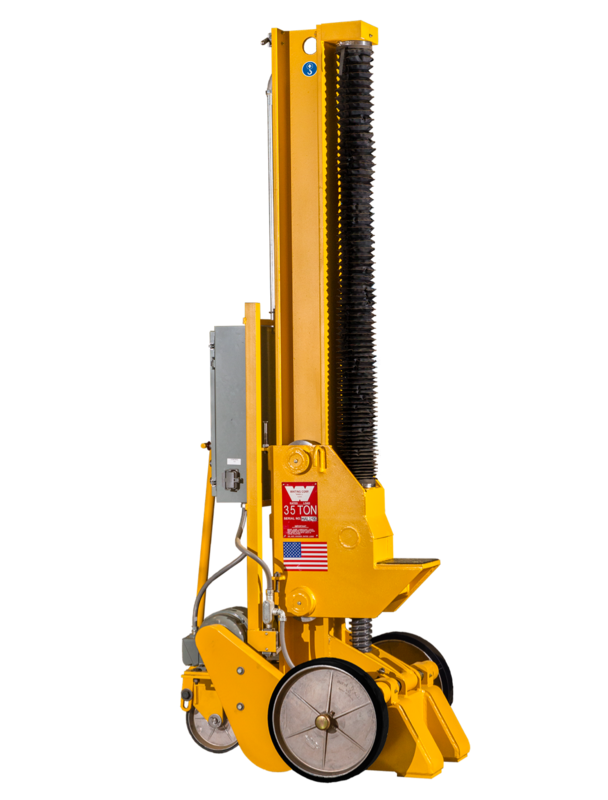 The jacks are easy to maneuver, giving you exibility to easily perform maintenance work at any location and at any time within your facility. Specialised bracket designs allow for complete customization to ensure an exact match to your particular equipment. Rip (Repair In Place) Jacks are furnished by Whiting for use in Rip track operations. Whiting Rip Jacks feature a remote operator console so the operator does not need to be close to the freight car during the repair operation. 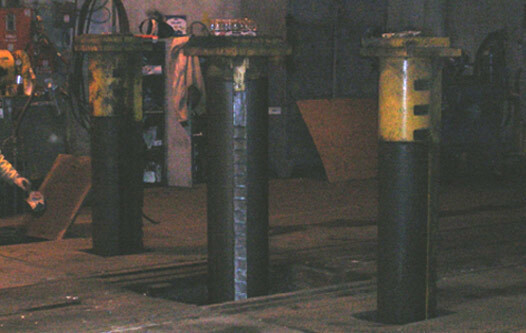 The lift capacity of the jacks on the left and right hand side extremities is generally 75 tons each, while the capacity on the center lift is most commonly 150 tons. 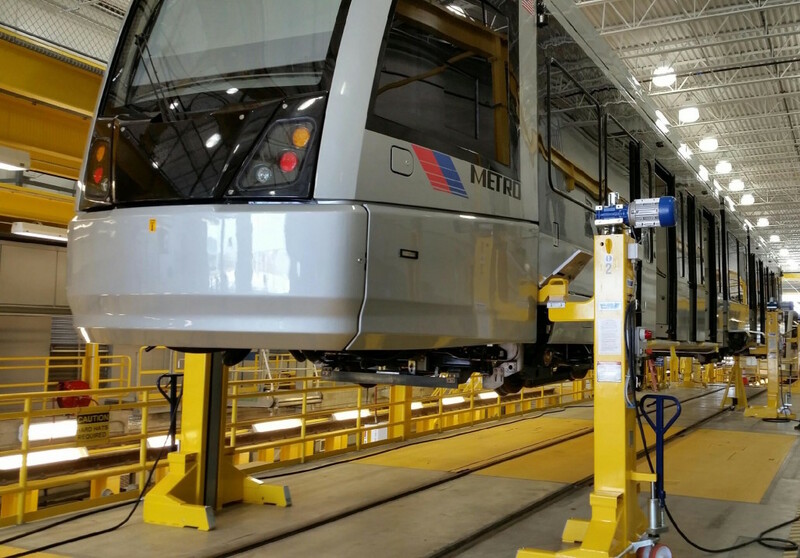 The use of this equipment also leads to increased car utilization as the work flow in end of car operations, such as changing out draft gear, is now completed in a shorter time period.